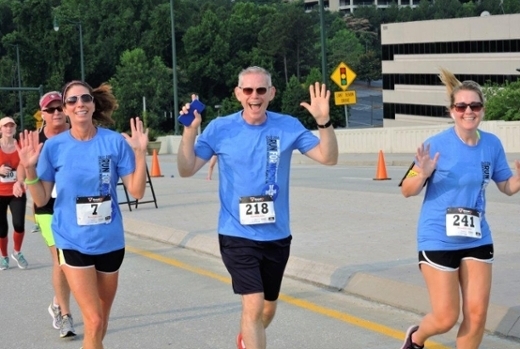 Emory Saint Joseph's Hospital is hosting the second annual Run for Mercy 5K Run/Walk, a family-friendly Peachtree Road Race qualifier event at 8 a.m., March 24. The race benefits Emory Saint Joseph's and Mercy Care Atlanta, and attracts runners and walkers of all levels. Event registration begins at 7 a.m., followed by the race at 8 a.m. at Dillard's, Perimeter Mall, 4400 Ashford Dunwoody Road. "Since our founding by the Sisters of Mercy, Emory Saint Joseph's has been focused on providing care to those less fortunate. We are committed to the Mercy Mission and the Run for Mercy 5K is a meaningful way we are supporting our community," says Heather Dexter, CEO of Emory Saint Joseph's. Emory Saint Joseph's is Atlanta's oldest hospital and has a wonderful heritage of providing compassionate, clinically excellent health care. When the hospital relocated from Courtland Street to Peachtree Dunwoody Road in 1978, teams of nurses, doctors, Sisters and volunteers filled tackle boxes with medical supplies and medicines and headed back downtown to provide health care on the streets. This band of good Samaritans served local residents and homeless shelters, helping to create Mercy Care.